Between March and September, iCivics site visitors will experience a range of improvements, enhancements and graphical updates to our site. To see the first round of changes, please visit our homepage, then click on About to learn more. 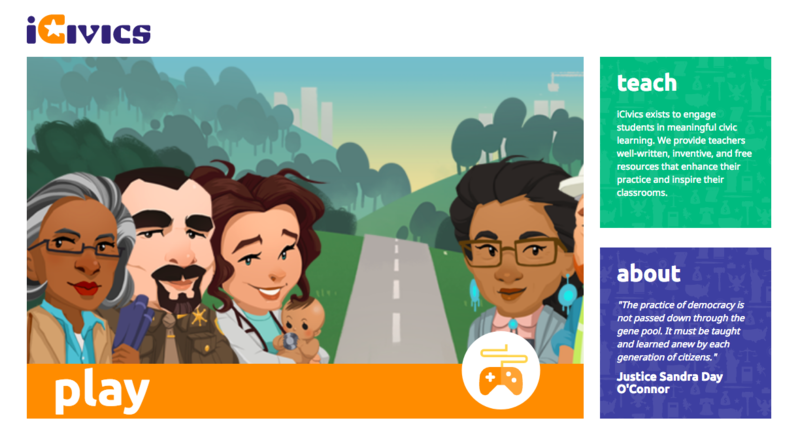 Read about Our Story, Our Impact, Our Team, and Our Educator Network, and brush up on all of the latest things about iCivics you may have missed. During the summer season, we will make improvements to our Play and Teach Hubs, but we'll be ready just in time for the Back to School rush. We love feedback and we're proud to say that improvements to the Play and Teach Hubs will incorporate feedback and suggestions from our teachers and students that we've collected over time through our support system. What do you think about the changes? We'd love to hear from you. Please share here.